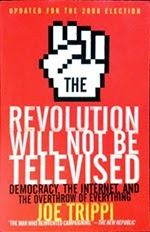 The Revolution Will Not Be Televised was published in 2004. Joe Trippi could not envision all the advances that have taken place after that date, but his vision of the near future may well have been on the mark. Between the aborted Howard Dean campaign of 2004, and the successful campaign of Barack Obama in 2008, and again in 2012, dramatic changes in technology and the approach to politics, especially on the left, have taken place. The investment in technology was a tremendous leap of faith by the Obama team that the old politics of spending millions on television were the past, and that the future was technology that allowed you to know who was likely to vote for your candidate, and that provided a software platform for reaching out to these donors in a personal, powerful way. Supported by hundreds of millions of dollars raised through fund raising, the Obama machine overcame overwhelming odds to win the White House again in 2012. 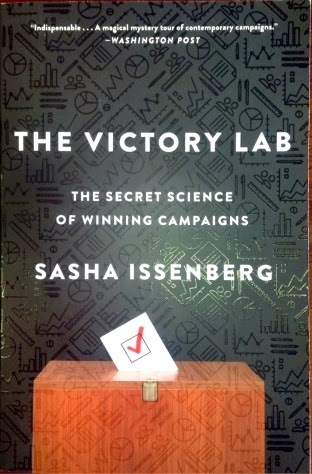 With that background, I went on to read The Victory Lab by Sasha Issenberg. In my view, this is the most insightful look at using technology and psychology to win elections in the 21st century. This book provides in-depth information on the advances in using technology and on baseline tested physiological approaches to winning over voters and getting them to the polls by both political parties. Indeed, and perhaps ironically, that is exactly what the use of technology, and baseline testing of messages is enabling campaigns to do in the 21st century. Instead of ads aimed at masses of people through television, cutting edge campaigns endeavor to spend their funds reaching the voter directly and individually. They gather public data on voters, and match that with information gained from personal contacts with prospective voters to reach individuals with messages tailored expressly to them. Not surprisingly, head-to-head tests of contacts with prospective voters via mail, telephone, and in person made it clear that in this impersonal age, the personal one-on-one contact is the most powerful. In 2003, Republican consultant Alexander Gage created a PowerPoint focused on a campaign tool he called “microtargeting.” This is, apparently, the first time that particular term was used, but it has now become the standard description of the way campaigns can identify voters by their personal preferences and choices. It bypasses the traditional precinct approach in favor of an individual target approach. As it was refined and made more precise, microtargeting was used to not only raise the Republican voter turnout in heavily Republican areas, but also increase that turnout in traditional Democrat strongholds. It is a tool that helps candidates win close races. At that point the Democrats were behind the Republicans in terms of targeting and turnout. But, that was soon to change. Moneyball is a direct reference to the approach taken by Billy Bean, General Manager of the Oakland Athletics, using analytics to find bargain priced players who could outperform their market value when placed into the right situation. “Cialdini had found repeatedly that what he described as injunctive norms (‘you should not litter’) were far less effective at changing behavior than descriptive norms (‘few people litter’). The Issenberg book also discusses the use of shame as a means of increasing voter turn-out. Essentially, by making a voter aware that voting (not who you vote for) is public information, and advising that voter of his own voting record and that of his neighbors, voter participation increased significantly. Utilizing advanced technology and applying proven psychological techniques, the 2008 and 2012 Obama campaigns committed huge resources to finding their voters and turning them out on election day. For example, the 2008 Obama campaign knew that the normal turnout of Democrat voters for the Iowa Caucuses was 125,000. They knew that if that number of Caucus goers turned out again, they would lose to Hillary. Therefore, they set a goal of 180,000 Iowa Caucus goers. They knew that if they reached that amount, they would win. The final count of Democrat Caucus participants in 2008 was 239,000 and Obama won easily. The advance of technology and the use of baseline measured psychological tests are not the only things that have significantly altered the political landscape in the United States in the 21st century. The fact is, the United States of 2014 contains an electorate that is vastly different than that of a few years ago. In 1984, Ronald Reagan won a landslide re-election victory, winning 49 states. In doing so, Reagan won the white vote by 20 points. In 2012, Mitt Romney lost the election to incumbent President Barack Obama, receiving just 47.2% of the total popular vote. Yet, in 2012, Mitt Romney carried the white vote by 20 points, the exact same margin with which Ronald Reagan won a 49 state landslide victory in 1984. Ronald Reagan received less than 10% of the black vote in that election; similarly, in 2008, John McCain won 4% of the African American vote, and in 2012, Mitt Romney won 6% of the black vote. McCain also won 31% of the Hispanic vote and in 2012, Mitt Romney won 27% of the Latino vote. In other words, the demographics of the United States have changed dramatically since Ronald Reagan ran for president. No longer can a Republican candidate for president succeed by simply winning the white vote by 20 points. In fact, we are fast approaching the reality that no white Republican candidate for President can win. Unless and until a Republican candidate for president can significantly increase his or her share of the African American and Hispanic vote, the United States is headed for a permanent Democratic control of the United States government. The Republican brand is so tarnished with African Americans that any white candidate for president is immediately distrusted. He or she will have no chance of expanding the black vote even though the Republican Party is the Party of Abraham Lincoln. As recently as 1956, President Dwight Eisenhower received 39% of the black vote, but the relentless charges of racism by the news media and Democrats have so damaged the Republican brand, it is impossible for a white candidate for president to make inroads into this portion of the electorate. Simply running another candidate like McCain or Romney in 2016 will result in the Republicans losing the White House again. It doesn’t make any difference if the last name is Paul or Bush or Christie, the outcome is foregone. The definition of insanity is doing the same thing over and over again and expecting a different outcome. But, there is an alternative. Herman Cain proved that a black Republican can succeed with black voters and with Hispanic voters. When he ran for president in 2012, his internal polling showed that he was winning more than 40% of the African American vote. And, this was running against a black Democrat incumbent, Barack Obama! There is no doubt that the total black vote would have declined under attack by the news media and the Democrats, but it would not have shrunk below 17%. What is the significance of 17%? It is a magic number for the Republicans. If the Republican candidate for president receives at least 17% of the African American vote in the swing states, those states that hold the key to a presidential election victory, no Democrat candidate for president can win. Even Hillary Clinton cannot win. And, there is more good news. When Herman Cain was running for president, his polls showed that he was not only receiving more than 40% of the black vote, he was also receiving more than 60% of the Hispanic vote! Why? As you can imagine, the Cain campaign team was perplexed. How could Herman Cain draw huge support from both the African American and the Hispanic community running against America’s first black president, Barack Obama? It didn’t seem to make any sense. What they concluded was that poor African Americans and poor Latinos saw in Herman Cain a man who had experienced their lot in life—being born into poverty. They believed that he understood their plight, and more important, he understood how to escape poverty and experience economic success. In short, both African Americans and Hispanics identified with Herman Cain. If the GOP wants to win the White House and save America, it must do something different in 2016. The establishment is afraid of taking chances. That is not surprising. That’s why it is the establishment. All organizations eventually get to the point where they are risk averse. They don’t want to do anything out of the ordinary, they want to preserve the status quo. But, such a strategy is the most risky of all. It inevitably leads to ruin and the disintegration of the organization. Ronald Reagan was not a part of the Republican establishment. Yes, he was governor of the largest state in the nation, but he had the attitude and the philosophy of an outsider. The Republican establishment of the time did not want someone as conservative as Reagan as their nominee. They were sure it would lead to defeat, even though their most recent candidate, Jerry Ford, a sitting president had been defeated soundly. Today the leading lights in the Republican Party favor a moderate Republican like Chris Christie, Jeb Bush, or even Mitt Romney (again!). However, as the data shows, that is the certain path to defeat in 2016. In fact, Scott Walker, Mike Huckabee, Rand Paul, and all the rest have the deck stacked against them as well. They can’t describe a sure path to victory in 2016, because there isn’t one. It’s not your father’s political landscape. The electorate has changed dramatically and it’s not ever going to be the same again. If the GOP wants to win the White House in 2016, they need to run someone like Ben Carson. Yes, Ben Carson has never before held public office, but is being president harder than brain surgery? Ronald Reagan was dismissed as just a B-grade actor when he ran for governor of California. And, as you may recall, at that time California was, according to GDP, the seventh largest government in the world! It’s simply a myth that anyone outside of Washington who has not previously held public office can’t handle the job of president. It has been said that Ronald Reagan could have run the government from a closet because his principles were aligned with the Founders and he understood the proper role of government and of the president. The Founder’s goal was repeated many times. They wanted successful men to serve in public office, not as a career, but as a sacrifice in service to their fellow citizens. The Founders called such men “citizen statesmen” and they believed they were the most qualified to serve in the highest roles of government, including as president. The last thing we need today as our next president is another Washington, D.C., insider. Let’s be honest, the Republicans and the Democrats are both to blame for the current mess this nation is in. When the GOP last controlled both houses of Congress and a Republican sat in the White House, spending was out of control. There was nothing conservative about the way they spent the hard earned dollars of American citizens, their coziness with special interests, and their love of earmarks. If the Republicans really want to win and want to challenge the Democrats on their home turf, they should not only choose Ben Carson as their nominee for president in 2016, they ought to choose as his running mate someone like New Mexico Governor Susana Martinez. This would put the Democrats on the defensive, trying to protect the African American vote, the Latino vote, and the female vote. It would not only be a gutsy move, it would be a politically smart move that would be a thrust at the jugular of the Democratic Party. And, in electing Carson and Martinez, we would be electing a slate dedicated to the United States Constitution and committed to the values of America’s Founders. If the GOP would be bold enough to nominate such a daring and sure-to-win ticket, it would be the Democratic Party that would be set back for 30 years. And, because Ben Carson is such an articulate candidate who can, like Ronald Reagan before him, explain complex issues in simple terms, it is likely that he would not only win the election, but do so in a landslide. After all, while businessman Herman Cain was widely respected in the black and Latino circles, it is not an exaggeration to say that Dr. Benjamin Carson is revered in these communities. Every black child has been told the story of Ben Carson, a man born into dire poverty in one of the worst areas of Detroit. You may have missed it, but virtually all African Americans have watched the full length movie starring Cuba Gooding, Jr., Gifted Hands. This is the movie that tells the life story of Ben Carson and how he became the first physician in the history of the world to lead a team of surgeons that successfully separated twins conjoined at the head. Up until that point in time, many neurosurgeons had tried to separate twins conjoined at the head, but in each and every case, one twin died. Dr. Ben Carson is an icon in the African American community. And, you can expect men like Bill Cosby, and many other African American leaders, to rally to his cause. It will pose great difficulty for any African American to vote against the first descendent of slaves who is running for President of the United States. Remember, if Ben Carson wins just 17% of the black vote in the swing states, no Democrat candidate for president, even Hillary Clinton, can win the White House! He is the candidate that the Democrats fear the most. A Ben Carson victory would leave the Democratic Party in shambles. Its base would be permanently damaged and Ben Carson’s success as president would cast great doubt on the trustworthiness of the Democrats by African Americans and Hispanics for decades. After all, there is no political gain in Democrats lifting the poor out of poverty. They are the party of Woodrow Wilson, a racist who, as a 12 year old living in Atlanta, cheered for a victory of the Confederacy. Wilson, with the help of his mentor, Richard T. Ely, engineered the re-segregation of the South and the institution of Jim Crow. If the poor blacks, whites, and Latinos climb the ladder of success, they will no longer be dependent on government, and they will not be susceptible to manipulation by the Democratic Party. A Republican Party that is unwilling to nominate a sure winner like Dr. Benjamin Carson is an organization that is doomed to failure. Ultimately, sooner than we might expect, it will lead to the establishment of a permanent Democratic majority. What would that look like? Just look at Detroit. That is the America of the future if conservatives do not take back the government, rein it in, repeal Obamacare, support traditional values, and re-establish the United States as the pinnacle nation in the world. This Sunday the entire world will celebrate Easter. Easter, of course, commemorates the resurrection of Jesus from the dead. Even in the most anti-Christian nations in the world, the followers of Jesus will commemorate with great joy Jesus’ return from the dead after three days in the grave. Easter is not just another holiday, a time to celebrate spring, or to enjoy the new clothing fashions, it is a celebration of the most important event in the history of the world, Jesus’ triumph over death. And, it is celebrated with such universal and exuberant joy because His victory over the grave guarantees to those that trust in Him that they will leave this world to live forever with God in total joy and happiness forever. As the Bible puts it in Colossians 1:18b, “He is the beginning, the first to come back to life so that he would have first place in everything.” In other words, Jesus’ triumphal return to life is our guarantee that we too shall live again in perfect bliss and harmony. And, according to the Bible, what do we have to do to be saved? When the jailer realized that Paul and Silas were servants of God after an angel came and released them from prison, he asked, “What must I do to be saved?” Paul and Silas responded, "Believe in the Lord Jesus, and you and your family will be saved." The truth is that we all know that we are imperfect. We are flawed. We do things we regret. We say things we should not say. And, we think things that are downright evil. Those things we do, say and think make us sinners. So the conundrum is, how do imperfect, sinful men and women enter into a perfect heaven? If God just lets us into his heaven covered with sin, then heaven is no longer perfect. It is full of people who are still sinners. That’s why God created a plan and then inspired men to write down this plan in His book, called the Bible. From the Book of Genesis, all the way through Revelation, the last book of the Bible, God reveals his plan of salvation. It’s right there in the Bible, almost on every page.It’s clear, it’s consistent, and it is miraculous. Our Father in heaven sent His one and only son, Jesus, to take the sins of the entire world on Him so that those who trust in Him would not have to suffer the consequences of their sin. It was the greatest act of love in history. Jesus bore our sins so that we do not have to. Now, when we believe, God sees our sins no more. He sees us as cleansed, washed clean by the blood of Jesus. What an irony, washed clean by blood.But, that is exactly what God did through the death and resurrection of Jesus. Those in the Old Testament who lived before Jesus came looked forward anxiously to His coming. They were encouraged by the oral recitation of the promise that God gave Adam and Eve after their sin forced them to leave the Garden of Eden. And, then, throughout the entire Old Testament, Abraham, Isaac, Jacob and the prophets described in minute detail the suffering and death of Jesus that was to come so that those who follow Him might be saved. Those who lived before Jesus and trusted in the Messiah to come were saved through faith. Eternal salvation is a free gift.You don’t contribute a thing. All God asks is that you recognize your sins and confess Jesus as your savior. That, my friends is the true and full meaning of the celebration of Easter. It’s the reason that Christians around the globe are so joyful and excited on Easter. It’s the reason that Christians sing with such joy the hymn, I know that my Redeemer Lives! Kathi and I and our entire family wish you a joyous Easter celebration. If you follow politics at all, you are aware of the fact that in 2008 and 2012 the Obama team followed a game plan that was quite different than anything that had been done before in a race for the White House. I'm not referring to the shenanigans and outright voter fraud committed by groups like ACORN. I'm referring to the sophisticated, high tech organization that was created on Obama's behalf. It was an amazing operation that identified virtually every prospective Obama voter and then turned them out on Election Day. In fact, it did much more than that. It enabled a new level of efficiency in the way voters were contacted, and it identified voters better than they had ever before been targeted. There is little doubt that this approach made the difference between victory and defeat, especially in the 2012 race. This new approach to campaigning is rightly attributed to Joe Trippi, the man who ran the first bottom up, internet campaign for president on behalf of Governor Howard Dean in 2004. The story of this groundbreaking effort is told in Trippi’s well written book, The Revolution Will Not Be Televised. While Barack Obama won in 2012, he was the first president in the modern era to get re-elected with fewer votes than he received the first time. In 2012, he won an electoral landslide, 332 to 206, however, Obama won just 51.1% of the popular vote. The point is that the shift of just a very few votes per state or even per precinct could have thrown the election to Romney. "As the Republican candidates were gearing up and then battling one another through the summer and fall of 2011, the Obama team was investing enormous amounts of time, money and creative energy in what resembled a high-tech political start-up whose main purpose was to put more people on the streets, armed with more information about the voters they were contacting, than any campaign had ever attempted." "No campaign had ever invested so heavily in technology and analytics, and no campaign had ever had such stated ambitions." "The next goal was to create a program that would allow everyone — campaign staffers in Chicago, state directors and their staff in the battlegrounds, field organizers, volunteers going door to door and volunteers at home — to communicate simply and seamlessly. The Obama team wanted something that allowed the field organizers in the Des Moines or Columbus or Fairfax offices to have access to all the campaign’s information about the voters for whom they were responsible. They wanted volunteer leaders to have online access as well." "From modeling and testing, the campaign refined voter outreach. Virtually every e-mail it sent included a test of some sort — the subject line, the appeal, the message — designed to maximize contributions, volunteer hours and eventually turnout on Election Day. The campaign would break out 18 smaller groups from e-mail lists, create 18 versions of an e-mail, and then watch the response rate for an hour and go with the winner — or take a combination of subject line and message from different e-mails and turn them into the finished product. Big corporations had used such testing for years, but political campaigns had not." “The gap between the Obama and Romney operations crystallized in the key battleground state of Ohio in the closing weeks of the general election campaign. Members of Obama’s team had been on the ground in Ohio for years. They knew the state intimately. Obama had at least 130 offices there, plus 500 or so staging areas for volunteers. He had almost 700 staffers on the Ohio payroll alone. Thousands of volunteers contacted voters." In stark contrast, the Romney team had only been on the ground in Ohio for a few months with a limited staff, few offices, and without access to the sophisticated technology that the Obama team was using. Romney never really had a chance. The software platform that the Obama team created was used for communications up and down the organization, for fund raising, and especially for voter targeting. Moreover, the Obama re-election effort began just a few weeks after Barack Obama was elected in 2008. That is not to say that the Obama for President campaign of 2008 was not a sophisticated campaign built on technology, volunteers and lots and lots of money. In 2008 the Obama campaign raised approximately $750 million, compared to $238 million for John McCain. This enabled the Obama campaign to outspend the McCain campaign 4 to 1 in Florida, 3 to 1 in Virginia, 2 to 1 in New Hampshire, and 3 to 1 in North Carolina. But, it wasn’t just the spending advantage that made the difference, it was how effectively the money was spent that was also crucial to Obama’s success. "From the moment Obama took the oath of office on January 20, 2009, and every day thereafter, his team was always at work preparing for the coming campaign. Everyone said Obama’s 2008 operation had rewritten the book on organizing, and in some ways that was accurate. But 2008 was just a beginning, a small first step toward what Obama's team envisioned when they began planning the reelection campaign. In one of their first conversations about the reelection, Messina [2012 re-election campaign chairman, Jim Messina] said he told the president that the reason they could not rerun 2008 was because so much had changed in just two years. Technology had leapfrogged forward, with new devices, net platforms, and vastly more opportunities to exploit social media." As previously noted, the bottom-up campaign strategy that the Obama team used successfully in 2008, and then again in 2012, had its genesis in 2004 with the Dean for America campaign (Vermont Governor Howard Dean's campaign for president) run by Joe Trippi. The Dean campaign that failed to win the Democratic nomination for president in 2004 was the prototype for the Obama campaigns of 2008 and 2014. The Dean campaign is significant for a number of reasons. Although the internet and social media were in their infancy, Trippi has always had a strong interest in technology (he began his studies at San Jose State University in Aeronautical Engineering). This interest in technology and the internet made Trippi the right person in the right place at the right time. And, as it turns out, so was his candidate, Governor Howard Dean. The essence of this new approach to campaigning is not about the technology itself, but rather the use of technology that enabled a little known governor from Vermont to crash the national scene. Even with this technology Howard Dean would not have gained the traction he did had he not been an outlier, an anti-establishment candidate. Dean ran as an insurgent. He was able to raise hundreds of thousands of dollars as well as sign on hundreds of thousands of volunteers because he opposed the war (which most of his opposition had voted for it). His success also stemmed from the technology utilized by Joe Trippi to empower his grassroots supporters. Trippi's book is exceptionally well written, but my one criticism is that Trippi writes the book as if all history of presidential campaigning coincides with his coming of age politically in the 1960s and 70s. To hear Trippi tell it, there had never before has been such a grassroots, bottom up campaign for president and that it was only possible in 2004 thanks to the internet. That's just not true. I suspect that there have been lots of bottom up campaigns in the history of our nation. But, like Trippi, my knowledge is primarily limited to my own experience in politics. And, even before Dean and before Obama, there have been a number of political campaigns for president that originated at the grassroots and that were grassroots driven. The advent of the Internet and social media simply make it possible to do this faster and more thoroughly than ever before. The Goldwater for President campaign of 1964 and the McGovern for President campaign of 1972 were both bottom up, grassroots campaigns. Each of these campaigns has much in common with the Dean campaign of 2004 and the Obama campaign of 2008. Of course, the main difference is that Obama won, while Goldwater, McGovern and Dean lost. Nevertheless, there is much similarity between these races. In 1964 Barry Goldwater was a United States Senator, but he was clearly not a member of the Republican establishment. He was not a Republican insider any more than George McGovern was a Democratic insider, or Howard Dean was a Democratic insider. The Republican establishment hated Goldwater, much as McGovern and Dean were disliked by the Democratic establishment. Yet, all three of these men had vast followings for their principled positions on important issues. Goldwater had written a book, Conscience of a Conservative, that sold more than 10 million copies. It was a bold and reasoned treatise arguing for a roll back in big government, and a hard line against Communism. That book (penned by L. Brent Bozell, a brother-in-law of William F. Buckley, Jr.), and the bold conservative positions taken by this previously little know senator from the lightly populated state of Arizona ignited a revolution at the grassroots. As a personal anecdote I recall a gathering of our family at Christmas 1962. My older brothers were already out on their own and established in their careers. My oldest brother, Allen, was living in Los Angeles, and my brother Bob, and his wife, Kay, were living in Seattle. I was in my second year in college. We celebrated Christmas in Seattle, and when we arrived, each brother had a gift for the other two brothers. That gift was a Goldwater for President bumper strip. Without any coordination whatsoever, we had all become ardent Goldwater fans. Prior to the Goldwater campaign the Republican National Committee had just 25,000 big donors and the liberal eastern wing of the Republican Party ran the show. They picked the nominees for President and some of their leaders, like Hugh Scott of Pennsylvania, were as liberal as the most liberal Democrat Senators. The Republican Party was in the firm grip of the moderate (read liberal) Republicans and they had no intention of letting go of it. Let go of it they did, but not without a fight. Barry Goldwater was a reluctant candidate, especially after his friend, President John F. Kennedy was assassinated by Lee Harvey Oswald, a Marxist follower of Cuba’s Fidel Castro. But, Goldwater, and his book, symbolized growing unrest across the nation with expanding government, reduced individual freedom, and weakness in the face of Communist aggression around the globe. In the end, as my brother Bob put it, he found himself leading a conservative movement that he never fully comprehended. However, while Goldwater lost the election in dramatic fashion, conservatives were triumphant. They had taken over the Republican Party from top to bottom. It was a true political revolution that made possible the triumph of Ronald Reagan in 1980. In fact, Ronald Reagan, who prior to 1964 was known only as a Hollywood actor, played an instrumental role in the Goldwater campaign. Similar to making a video on YouTube today, Ronald Reagan gave a made for television speech that, when broadcast, went viral, to use today’s terms. It was funded entirely in California, outside of the official campaign apparatus. The speech was entitled A Time for Choosing and it was a classic. I had an opportunity to view it again about ten days ago, and I can report that even in black and white, this is still a powerful speech. Like a video on YouTube that goes viral, A Time for Choosing went viral. All across the nation activists obtained copies of the speech, and then showed it to local audiences. They also raised funds to pay for it to be broadcast over their local television station. Almost overnight, A Time for Choosing became the Goldwater campaign. Millions of dollars in small gifts poured in to pay for repeated airings of the Reagan movie. And indeed, without this movie, Ronald Reagan would have never been elected Governor of California, or President of the United States. It was a speech that changed the course of history. Prior to the Goldwater campaign the Republican National Committee had just 25,000 donors. By the end of the Goldwater campaign there were more than 500,000 donors to the Goldwater campaign. The funding base and the power base of the Republican Party was forever altered. But those 500,000 donors were not the extent of the grassroots effort on behalf of Goldwater. It was through bottom up grassroots campaigning that the insurgent Goldwater effort topped the Republican establishment choice for President, Nelson Rockefeller in the California primary. Tens of thousands of conservative activists walked precincts, rounding up every possible vote in that key primary. The race was initially called by Walter Cronkite on CBS for Rockefeller. But by the early morning, the tide shifted and Barry Goldwater won the California primary in a squeaker. Winning California was tantamount to winning the Republican nomination for president. And, shortly thereafter, in San Francisco, Goldwater became the Republican nominee for President. In those days before the advent of the Federal Election Commission and their myriad of election restrictions, individuals all across the nation spontaneously started Goldwater fund raising efforts and waged a campaign for Senator Goldwater with little support or interference from the national organization. Among the dozen or more such groups, I recall Gold for Goldwater, a group that raised and spent several million dollars on behalf of Goldwater. Joe Trippi hails the freedom of the Internet, and its ability to communicate up and down and side to side as revolutionary. Indeed it was. Similarly, prior to the advent of the Federal Election Commission, average citizens had the freedom to campaign for and raise funds for their favorite candidate without government regulation or interference. A lack of restrictions energized the entire political process and encouraged those at the grassroots to set up independent organizations for campaigning. The truth is that the advent of the FEC was not brought about by any true demand or need for protection of the average citizen. Rather it was created by the establishment, both Republicans and Democrats, to protect those in power. Instead of protecting citizens, it diminished the power and opportunity of the grassroots to participate in the political process. That is why the current ruling establishment would like nothing better than to regulate the Internet in the "public interest." And, of course, by public interest they are referring to the interest of the ruling class, the Republican and Democrat establishment. In 1972 Senator George McGovern took over the Democratic Party. McGovern had been a prairie radical his entire adult life. In 1948 he was a delegate to the Democratic National Convention. If you recall, it was at that convention that southern Democrats split off from the Democratic Party and formed the Dixiecrat Party whose nominee was Strom Thurmond. Harry Truman was eventually nominated at the 1948 convention. It was after Truman won a squeaker of an election over Thomas Dewey that the Democratic Party first proposed a version of socialized medicine. But, what is noteworthy, is that President Harry Truman was not liberal enough for George McGovern. When Truman was nominated in 1948, George McGovern left the Democratic Party and supported Norman Thomas, the Socialist Party candidate for president. But, by 1972 the prairie radicals in the Democratic Party, led by George McGovern, had come of age. McGovern won the nomination only to lose in a landslide to Richard Nixon. However, had McGovern not won the nomination in 1972 and taken over control of the Democratic Party it would not have been possible for Barack Obama to be elected president in 2008. Prior to the nomination of George McGovern the Democratic Party was controlled by party bosses like Jim Farley, who relied on funding by the unions and from a limited number of wealthy individuals. However, after McGovern was nominated, direct mail whiz Morris Dees altered the funding base of the Democratic Party forever. Dees generated some 700,000 donors to the George McGovern campaign, thus undercutting the strength of the previous Democratic establishment. And, while McGovern was spurned by every union in America except the National Education Association, his nomination was the turning point for the radicalization of American unions. Of course, there had been union radicals before, like Harry Bridges of the Longshoreman's Union, but by and large AFL-CIO leaders like George Meany were anti-communist and pro capitalism. Today that has all changed. The Democratic Party and the Unions are in total control of Marxist radicals. None of this could have happened without the nomination of George McGovern whose campaign, like the Goldwater campaign before it, was from the grassroots up. What do Goldwater, McGovern and Dean all have in common? They are men who were disliked by the establishment, who took positions contrary to the political establishment, and whose message tapped into a large grassroots audience. None of this is to diminish the importance of what Joe Trippi accomplished in 2004 or his creativity and ingenuity in using the internet to empower the grassroots organization that was the backbone of the Howard Dean campaign. It is truly an amazing story. The Dean Campaign was a high wire effort that Trippi likens to jumping off a fifteen story building and counting on the grassroots supporters to catch you. And, Trippi correctly identifies the strength of an internet based campaign as its ability to be driven from the bottom up. He agrees that television revolutionized the campaigning process, but like all mediums before it, it pushed out information to the voters that the campaign thought the grassroots should receive. In contrast, the internet is a two way street that allows the grassroots to tell the campaign what they want, instead of the campaign telling the grassroots what they should do. And, the internet, especially social media like Facebook and Twitter, allow a campaign to gather public data on its volunteers and donors, thus enabling the campaign to reach them on issues they feel strongly about. More than that, the internet empowers individuals to take the initiative in a campaign, driving themes, and effectively running their own campaign effort on the local level. It means that campaigns must trust their volunteers and have confidence in them. The campaign must not think that they have all the good ideas. Trippi likens it to placing power in the hands of the folks at the grassroots to drive the train and take it to the right destination. The bottom line is this…the computer age, the internet age, Facebook, YouTube, Twitter, etc. have created new avenues of communication and coordination. They have empowered the grassroots activist. However, I do not believe these are tools that will work well for establishment candidates in either major political party. These tools work best for outsiders who have bucked the establishment and seek to lead a revolution. They work best for those who can energize the grassroots through issues and ideas. A presidential campaign that waits until a few month before the first presidential primary to raise funds, create a software platform, and then build an effective organization is destined to fail. This is not your father’s political landscape. This is a new era. Some prospective Republican candidates for 2016 have already lost the nomination and they don't know it. Other candidates or their surrogate SuperPAC have already raised early money, utilized technology, and are building a grassroots base. These are the candidates to watch. However, unless they are outside the establishment with a popular call to arms, they too will fail in their quest to win their party's nomination and after that the general election. A big donor base that can be accessed quickly in a fast moving delegate selection process is not a luxury, it is a necessity. Only those candidates who are making preparations now and who have legions of volunteers and supporters will have a chance of winning in 2016. Those on the left never learn anything from history. On September 30, 1938, British Prime Minister Neville Chamberlain signed the Munich Agreement with Adolph Hitler, Chancellor of NAZI (National Socialist Party) Germany ceding an area in Czechoslovakia they designated the Sudetenland. Czechoslovakia was not a party to the negotiations. 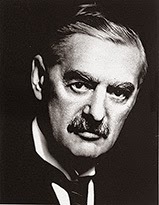 After betraying Czechoslovakia, Chamberlain flew back to London, and in triumph he proclaimed "My good friends this is the second time in our history that there has come back from Germany to Downing Street peace with honor. I believe it is peace in our time." What Chamberlain really achieved, however, through his betrayal and appeasement, was the foundation for the worst war in the history of the world, World War II. Appeasement and excusing territorial expansion through the use of military force, always leads to war. And, if it does not lead to war, it leads to slavery. The argument made by Hitler for annexing the so-called Sudetenland was that the majority of the population was German. In similar fashion, Russian President Vladimir Putin recently argued that the majority of the population located in Crimea were Russians and therefore should be a part of Russia. Several years earlier, Putin had engineered the election of a pro-Russian Ukrainian President, Viktor Yanukovych. This was after the previous Ukrainian President, Viktor Yushchenko was poisoned. While it has not been confirmed, it appears that President Yushchenko was poisoned by the Russians. Since Putin is the former head of the KGB under the old Soviet Union, it is not inconceivable that he personally orchestrated the poisoning of Yushchenko. The election of Yanukovych led to great protests as the new, pro-Russian President, began to tie Ukraine more closely to Russia, instead of to NATO and Western Europe as the people desired. The Ukrainian people have not forgotten the intentional starvation of more than 20 million Ukrainians by Soviet dictator, Joseph Stalin. Finally, Yanukovych was driven from office. When that happened, Putin realized that his grip over Ukraine was slipping away. Vladimir Putin took stock of the resolve of the West, especially the President of the United States, Barack Obama. After seeing Obama’s unwillingness to take action in Syria, his timidity in dealing with Iran, and his soft approach to North Korea, Putin acted decisively. Using the same pretext as Hitler used to invade Poland in 1939, Putin launched an invasion of the Crimean region of Ukraine. Facing little or no resistance, Russia annexed Crimea quickly, thus initiating the beginning the reconstitution of the old Soviet Union. Crimea provides Putin with important military ports on the Black Sea and other economic advantages. As I write this, Russian troops are massed on the border of what remains of Ukraine. It is not hard to imagine what is coming. I suspect it will play out similar to what happened in Poland just prior to World War II. On September 1, 1939, just one week after Germany signed a nonaggression pact with the Soviet Union, Germany attacked Poland from the West. Then on September 17, of the same year, the Soviet Union attacked Poland from the East. By October 6, Poland was defeated, and Adolph Hitler and Joseph Stalin had divided up Poland, with each taking roughly half. After Putin annexed Crimea, there was much huffing and puffing by the White House. Secretary of State, John Kerry, intoned something to the effect that this is totally inappropriate in the 21st Century. Like Obama, Kerry talks like a college professor who lives in an alternate world. They talk about what should be, not what is. For quite some time President Obama said that he refused to recognize Russia’s occupation of Crimea, whatever that means. It was the Obama administration, led by Secretary of State Hillary Clinton, that announced that they had pushed the “reset button” in relations with Russia. You see, in the eyes of liberals like Obama, Clinton, and Kerry, it is the United States that has been the number one cause of problems in the world. All throughout the Cold War, liberals wrote articles and gave speeches drawing a moral equivalence between the United States and the Soviet Union. In their eyes, the United States was no less responsible for tensions between the two superpowers than was the Soviet Union. If only America would be more understanding and more conciliatory, we could solve our problems, they said. Liberals were totally opposed to the arms buildup under President Ronald Reagan. They said that it only increased tensions with the Soviet Union. They even opposed defensive missiles on the grounds that to install such missiles was an act of aggression that would encourage a nuclear attack by the Soviets. In his second term, Ronald Reagan met with Soviet Premier Mikhail Gorbachev in Reykjavík, Iceland to negotiate an arms treaty. Gorbachev insisted that Reagan abandon his Strategic Defense Initiative (SDI) which the American left derisively called “Star Wars.” When Ronald Reagan refused to do so, Gorbachev refused to sign the arms reduction treaty. The news media, the Democratic Party, and leftists of all shades were outraged that Reagan would not abandon the Strategic Defense Initiative (SDI) and sign the treaty. They said that Reagan failed at Reykjavík, that he missed a wonderful opportunity to reduce the chance of war. They could not have been more wrong. Reagan knew that having the upper hand was the only way to bring down the Soviet Union and free the people held captive by that ruthless police state. The Soviet Union was, as Ronald Reagan said, “an evil empire.” It was a description that the left hated and derided. Mikhail Gorbachev later wrote that it was when Ronald Reagan refused to abandon SDI that he knew that the end of the Soviet Union was inevitable. While the American left believes in peace through weakness, the real path to peace is through strength, as Ronald Reagan understood. But, when Barack Obama took office he scrapped that agreement and refused to install the missile defense system in Poland because Russia opposed it. It was part and parcel of his hitting the reset button with Russia. It was the beginning of his efforts to appease Russia and encourage the bear to be friendly. Today, Eastern Europe is reaping the whirlwind of Obama’s reset of relations with Russia. Obama’s goal is to reduce American power, and he has gone far in accomplishing that goal. And yet, we are still the only superpower in the world, but this Administration is embarrassed that we are. They refuse to project our power to discourage tyrants like Putin. The United States has the power to economically cripple Russia by signing an agreement to sell natural gas to Western Europe and opening up federal lands to fracking. Today, Germany, France, et. al. are held captive by the natural gas and oil they depend on from Russia. By simply eliminating this threat, we free up Western Europe to join us in financially crippling Russia. But, we should not presume that economic austerity alone will deter Russia from taking all of Ukraine, Estonia, Latvia, and the other nations that were enslaved by the old Soviet Union. After all, the old Soviet dictators were satisfied as long as they remained in power to have their citizens live in economic misery. Why should we think that Putin is any different? Now is the time to reinstate of our agreement with Poland to install missiles in that nation and any other nation that seeks to deter Russian aggression. In addition, we should agree to sell advanced military weaponry to Ukraine and all other friendly nations in Eastern Europe. Like everyone else in the United States I am weary of war. However, I do not believe it is necessary to go to war to deter Russian aggression. By signing mutual defense treaties, enlarging NATO, providing arms, and using every means at our disposal to economically cripple Russia, we have the opportunity to not only stop Russian aggression, but also encourage the downfall of Putin in Russia. The Russian people have no desire to fall under the grip of Putin the dictator. He is corrupt, dangerous, and evil. In fact, it is the misunderstanding of human nature that is at the heart of all the miscalculations and misguided policies of the left. Liberals have told me that they believe they are an elite group and that they have achieved an ethical plane that is above the common man. They don’t believe that man is by nature evil as the Bible teaches. They believe that they have risen above that description and that they can lead others to a higher ethical level if only given the chance. That’s where the term progressive comes from—meaning progress to a higher ethical level. It was this false belief that led our first progressive President, Woodrow Wilson, to re-segregate the South because, in his view, African Americans had not yet reached the necessary ethical plane to work, go to school, and live alongside white Americans. And, it is this misunderstanding of human nature that results in all sorts of mischief by liberal politicians. If people would just act like they should, we could create a nearly utopian society, they say. But, alas human nature is corrupt and will always be so. It was this understanding by our Founders that led them to create checks and balances in our government, keeping any one man or group of men from having too much power. Sadly, liberals don’t live in in the real world, they live in their own mythical world. Because of this, they have led our nation into war, they have created monstrous schemes that reduce individual freedom, they have ensnared the poor in permanent poverty, and they have rejected traditional moral values. Liberals and their policies are dangerous. Nothing ever changes.